Hello, and welcome to my page!! I am excited that you are visiting this website and look forward to hearing from you. Let me share a little bit about myself. I have been a licensed agent since 1999, I acquired my GRI designation shortly after, followed by my CREPS designation. 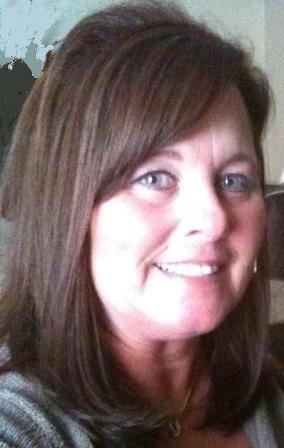 I am the foreclosure specialist at Remax First in Russellville, AR. I work with an amazing group of people that I call my family. Although listing and selling foreclosures is my specialty, I still enjoy working with traditional sales with buyers and sellers. I list and sell foreclosures for companies that you may be familiar with, such as Fannie Mae, Freddie Mac, HUD, VA and USDA are a few that I sell for. I enjoy selling foreclosures and traveling a large area of the state. In doing so I see lots of country side and enjoy the beautiful scenery along the way. I also teach classes to other agents in our area on how to successfully complete the transaction of purchasing a foreclosed property. If you are familiar with the paperwork involved in a traditional sale, in a foreclosed sale there is additional forms needed and I have classes to help agents make the process go smoother and quicker. I also offer it to buyers and associates that are involved in the lending and sales process. If you would be interested in attending a class, please feel free to contact me for further information. Let me share a little bit about my personal life. I live in the mountains, close to the Buffalo River in Searcy County. I enjoy living here, the peacefulness offsets the time of travel it takes to go to some of my properties. I enjoy the Elk, Turkey, Deer and all kinds of wildlife found in my area. I also enjoy floating the Buffalo River with my co-workers and family. Our office always enjoys at least one float trip a year. As I stated earlier, we are more like family than co-workers. I live here with my husband and our little menagerie of farm animals. We have chickens, dogs, cats, mules, donkeys, horses and cows. I have dabbled in dwarf goats and absolutely love them. I hope to get back into them this spring. We enjoy raising cattle, fresh eggs and gardening. My husband is an Auctioneer as well, so to say we have a collection of STUFF would be an understatement, but we enjoy it and basically that is what matters. We have a grown son that currently resides in Searcy County as well. I love to cook and bake even though I am very messy in the kitchen. I hope that if you have real estate needs, that you will give me a call, email or text and let me help you with your real estate needs. I think you will find that I work hard to make this experience as joyful and peaceful as it should be. Buying a home is a huge step in your life and I look forward to being part of that chapter in your life.